Day 7 of the Hastings Congress dawned bright and dry, and there seems to be a lull in the monsoon season which has drenched the chess players these past few days. Chess players are a resilient bunch and have weathered snow, ice, rain and gales to take part in the annual chess event at Horntye Park Sports Complex. The number of entries this year is slightly higher than last year, which is gratifying. The organisers had been concerned that rail disruption may have deterred players, but all was better than expected. The 353 players from 27 countries include 9 grandmasters and 1 woman grandmaster. Female players include a 7 year-old from Mongolia who is here with her mother and chess coach. 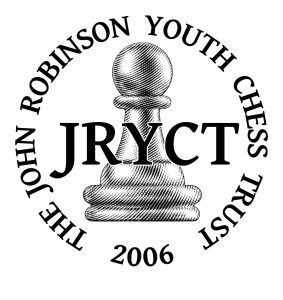 Bursaries were awarded to those U21, to encourage young players, courtesy of the John Robinson Youth Chess Trust. Indian grandmaster and two-times Masters winner, GM Deep Sengupta, is here to defend his title, and is currently in equal 6th place after 6 rounds. Joint leaders in the Masters after 6 rounds are GM Jahongir Vakhidov (UZB) and GM Daniel Gormally (ENG) on 5 points. English GM Keith Arkell is one of five players in joint third place with 4.5 points. His round 6 game against GM Mark Hebden (ENG) was a 122 move marathon which ended, late in the evening, in a draw. The 5-round New Year Morning and Afternoon tournaments are currently in progress, and will end on Friday 5th January. This will be followed by a two-day Weekend Congress – the Open section of which is FIDE-rated. The other two sections are open to all levels of players. The daily commentary by Chris Ward is proving as popular as ever, and visitors are welcome to join the audience and visit the tournament as spectators – entry is free. Play in the Masters begins at 14.15 hrs daily, and the last round will be on 5th January. The closing ceremony on Friday 5th January will be attended by Mr. Dominic Lawson, President of the English Chess Federation, Mr. Wayne Bradshaw of Tradewise Insurance Services, and Cllr. Judy Rogers, Mayor of Hastings. After a worrying day listening to the travel disruption news and seeing pictures of heavy snow, Day 1 of the 93rd Tradewise Hastings International Chess Congress turned out to be sunny, more or less defrosted and also awash with chess players from near and far. The event was opened by Cllr. Peter Chowney, Leader of Hastings Borough Council and Cllr. Judy Rogers, Rt. Worshipful the Mayor of Hastings and President of Hastings Chess Congress, who made the opening move. Hastings Borough Council have been major long-term supporters of the event. Congress Director Alan Hustwayte announced the awards of bursaries to junior players – made possible by the John Robinson Youth Chess Trust. These went to Adam Taylor, Ollie Willson and Akito Oyama, all under 21s, and Victor Stoyanov, Matthew Forster, Oliver Howell, Amardip Ahluwalia, Aditya Verma, Jonah Willow, Charlie Metcalfe, Aditya Munshi, Freddie Hand, William Lovell, Shlok Verma, Calum Salmons and Thivyaa Rahulan, all under 18s. Round 1 of the Masters ended with a surprise result when Adam Taylor won his game against Deep Sengupta – Adam’s first win against a GM. Uzbek GM Jahongir , who won here in 2013-14 and 2015-16, won his first round game as did Brazilian Champion GM Alexander Fier. As well as the Masters event, Round 1 of the Christmas Afternoon four round tournament began. The event is jointly sponsored by Hastings Borough Council and Tradewise Insurance Services. Additional valued support comes from English Chess Federation, The John Robinson Youth Chess Trust, the White Rock Hotel, the Lansdowne Hotel, KC Computers and the Power family. Thanks also go to the staff and trustees of Horntye Park Sports Centre, Hastings and St. Leonards Chess Club, and Hastings Tourist Information Centre. Click this link for a zoomable Google map showing the location of the Horntye Park Sports Complex.